New to the Kennelgate range are these disposable dog diapers also known as dog nappies. 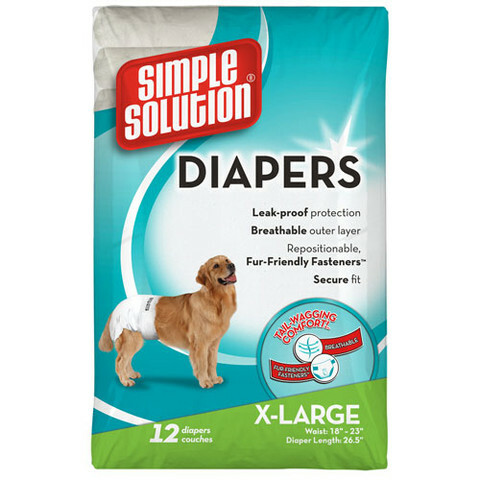 The Simple Solutions disposable dog diapers are ideal for any dogs that are incontinent, females on heat, excitable urination and also ideal for long journeys. Each nappy has gathered edges and repositionable tabs to ensure the perfect fit and comfort. X Large to fit waist 18 - 23"